1. Adopted inoculated casting for highly rigid machine frame; Internal stress eliminated by aging treatment; Box shape frame structure with internatal symmetrical reinforced ribs for high rigidity, heat resistance and shock resistance. Mechanical structure optimized by FEA method for high strength machine body. 2.Precision roller type linear guide for 3 axes, obtains high precision and high speed during heavy duty cutting. 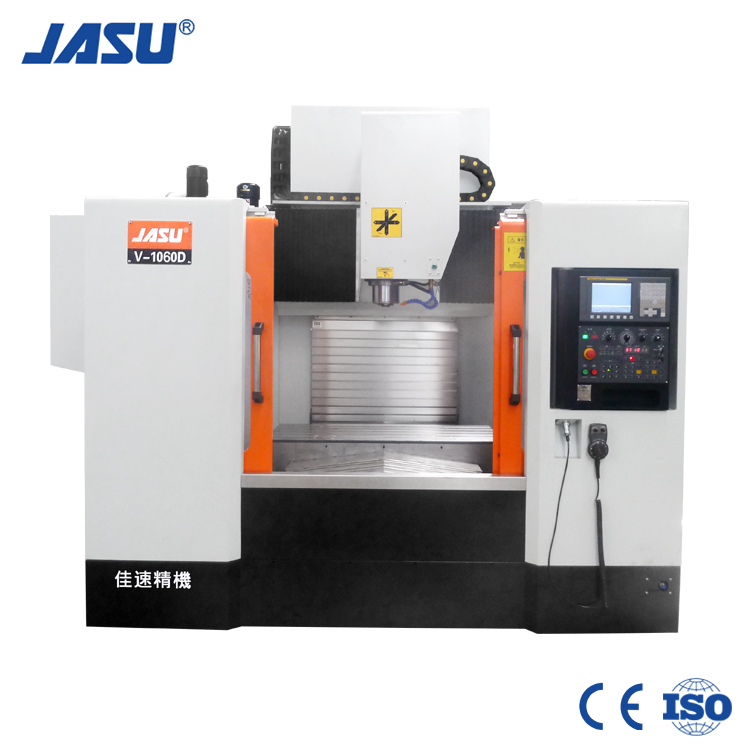 4.Spindle motor 11/15 kw with 8000rpm speed, meeting different machining requirement. Optional 10000rpm, 12000rpm spindle is available. 16. Z-axis weight balanced system.